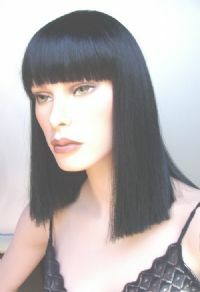 Classic Cleopatra style, great quality, NOT a costume wig. About 14 inches overall and feels like real hair. I usually have the Black in stock and ready to ship, allow 2 weeks for all other colors.